Arthur Boyd: retrospective exhibition (1962) , London, 1962, (illus. ), 29. plate no. XXXIV; cat.no. 123; titled 'Figure carrying a ram'; Lent by the artist. Barry Pearce, Look , 'Arthur Boyd: Society supports iconic purchase', pg. 13, Sydney, Sep 2009, 13 (colour illus.). Look , Sydney, Apr 2012, 11 (colour illus.). 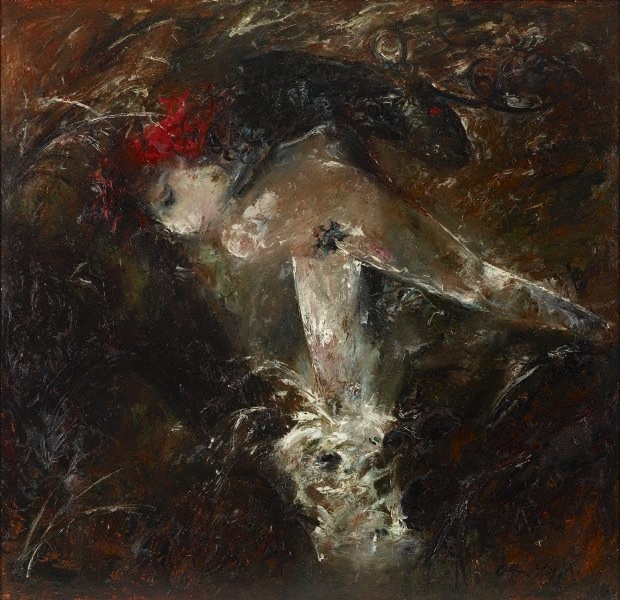 The art of Arthur Boyd , 'Part II 1959-1971', pg. 52-62, London, 1986, 53, 54, (colour illus. ), 243. cat.no. 75; titled 'Figure carrying a ram'; Private Collection, Melbourne.